Garlic has been used for thousands of years as an advantageous herb and as a culinary spice. Itt is traditionally used to help promote cardiovascular and circulatory health by maintaining healthy blood flow, it prevents atheromatic plaque concentration and it has natural strong antibacterial properties. Garlic has been used for thousands of years as an advantageous herb and as a culinary spice. Itt is traditionally used to help promote cardiovascular and circulatory health by maintaining healthy blood flow, it prevents atheromatic plaque concentration and it has natural strong antibacterial properties. 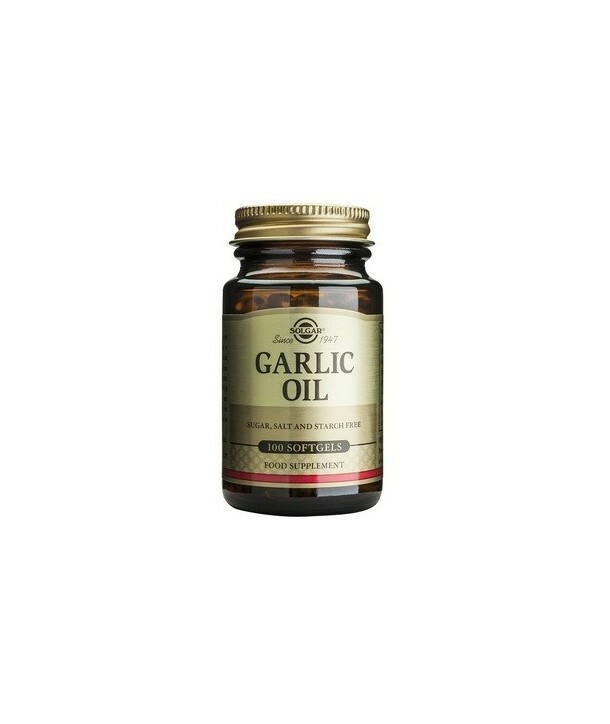 This formulation contains natural sulfur-containing compounds derived from garlic. 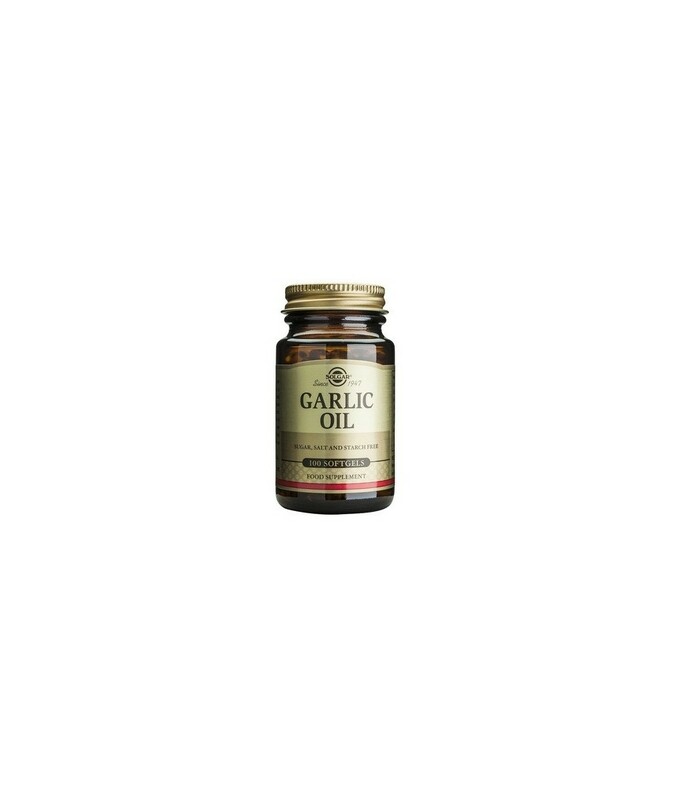 Solgar Garlic Oil softgels are specially processed in order to reduce the odiferous nature of garlic while preserving the naturally occurring nutrients and active constituents as found in whole garlic. Directions for use: As a food supplement for adults, one (1) softgel daily, preferably at mealtime, or as directed by a healthcare practitioner.